Sciblogs | Clairvoyant vehicles, but what about us? 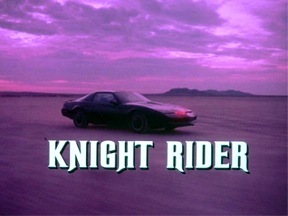 Some of you may recall “The Hoff” and his smart car KITT in Knight Rider. With the advent of Google’s autonomous cars, parallels between them and KITT have be drawn. But apart from self-driving ability, there’s not a lot of similarity (and the Trans Am is way sexier than a self-driving Prius). Now though, Volvo are promoting a much smarter vehicle (with human driver). It will, they claim, have predictive collision capabilities – assessing potential accident situations and taking (hopefully) appropriate avoidance actions. On the street, maybe in 5 to 10 years. A great advance, particularly if it reduces tragedies like this. Though there will still be plenty of dumb vehicles and inattentive drivers on the road for a long time to come. In addition to enhancing public safety, there will be a strong economic factor for reducing accidents. A study calculated that the total cost to society (including quality of life assessments) of motor vehicle crashes in the US in 2010 was US$277 billion [pdf]. 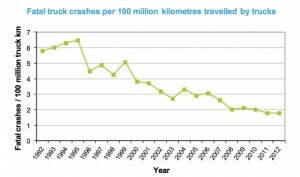 New Zealand’s Ministry of Transport calculated the social cost of such accidents here were, in 2012, $3.29 billion. As with the autonomous cars already available, I expect a lot of driving in simulated and real environments will be needed to get the predictive capability up to a reasonable level of accuracy. And I wonder if the software will need to be re-calibrated for different countries (with different cultures and habits) and in different environments. The system will probably need to “know” if it is in an urban or rural setting (different risks and types of behaviours), what the weather is, time of day (late at night on a weekend when the pubs are closing will result in lots of people out and about exhibiting very unpredictable behaviours). Some big liabilities for the vehicle owner and manufacturer too if the system fails to predict an accident and someone gets injured. But discussions are underway to develop regulations for robotic devices that both protect humans, as well as enable innovation. I imagine such a vehicle would have a nervous breakdown and refuse to drive in Wellington with its roaming hoards of pedestrians. Which illustrates that it’s not just a vehicle issue, but behavioural and urban design factors also need to addressed. 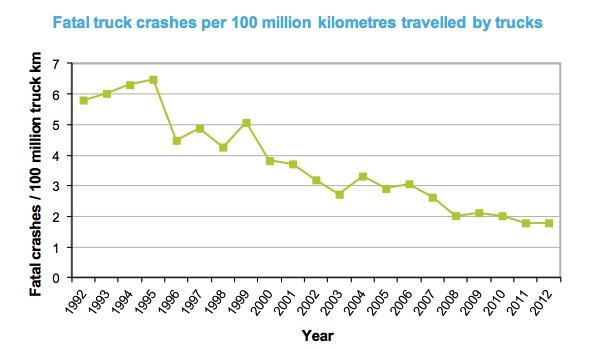 Cities are likely to be increasingly “smart“, which will hopefully help reduce accidents. And apps for smart phones are also under development to monitor the safety of your environment. But even now better planning and design of towns and cities doesn’t need to involve such sophisticated technologies. It’s becoming an increasingly predictive world, which causes me some uneasiness. Some US cities are already attempting to predict crime, but not without criticism. Perhaps it’s time to start having more open discussions about what is and isn’t acceptable to predict in our societies, and the consequences and limitations of such technologies..